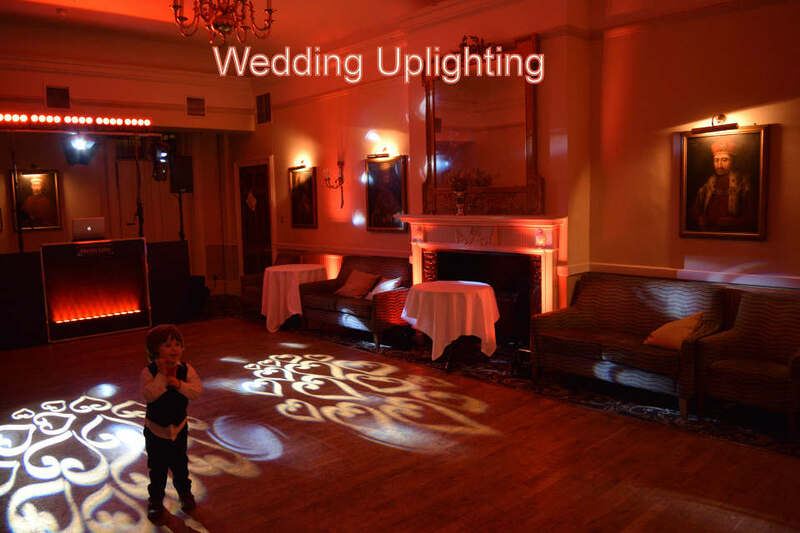 LED uplighting or mood lighting as it often referred, transforms your venue instantly giving it that Wow factor. It will bring a plain looking venue to life by literally painting it with colour and make a good venue look even more spectacular. 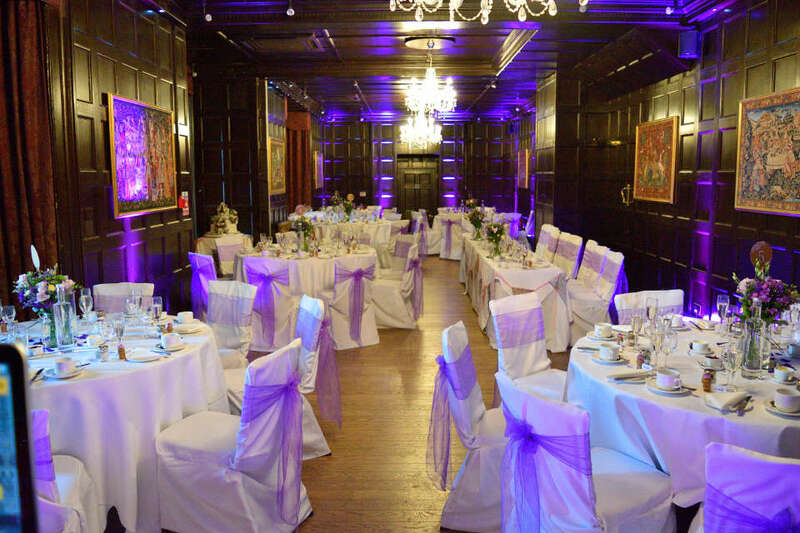 Uplighting beautifully transforms the room to tie in with your colour scheme, matching the chair covers, flowers and decoration. 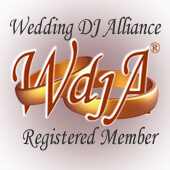 Wedding photos and videos are also greatly enhanced with a backdrop of light which compliments your colour scheme. 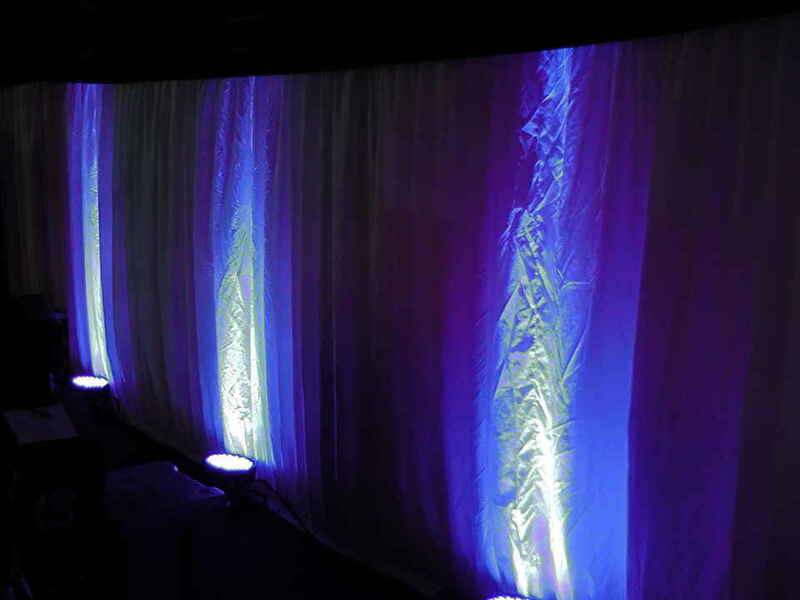 Uplighting placed around the walls will make a plain venue look more beautiful and a good venue look spectacular. The uplighting will project columns of light up the walls giving definition and colour to the wall whilst also reflecting light onto the ceiling. Architectural features such as archways, pillars and fireplaces can be highlighted which make them stand out as stunning focal points. 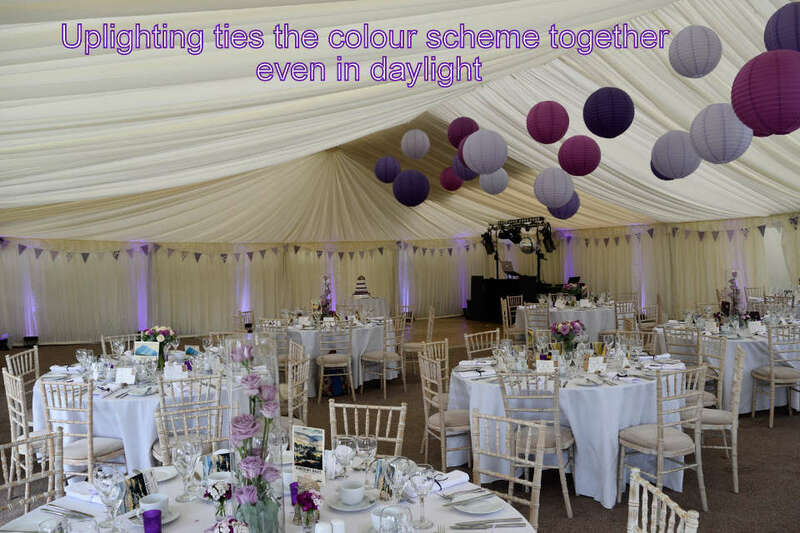 You may want the lights set to your chosen colours for the day and your first dance and then have them slowly fading from one beautiful colour to another once the dancing starts or flash in time to the music to custom progrmmed light chases. I have recently purchased the latest wireless Chauvet Freedom Par uplighters… these lights are brilliant… they are battery operated and have got built in wi-fi which means that they do not need any wires at all. They can be set up very quickly and positioned in the best places in the room and not be tied to where the power sockets are. 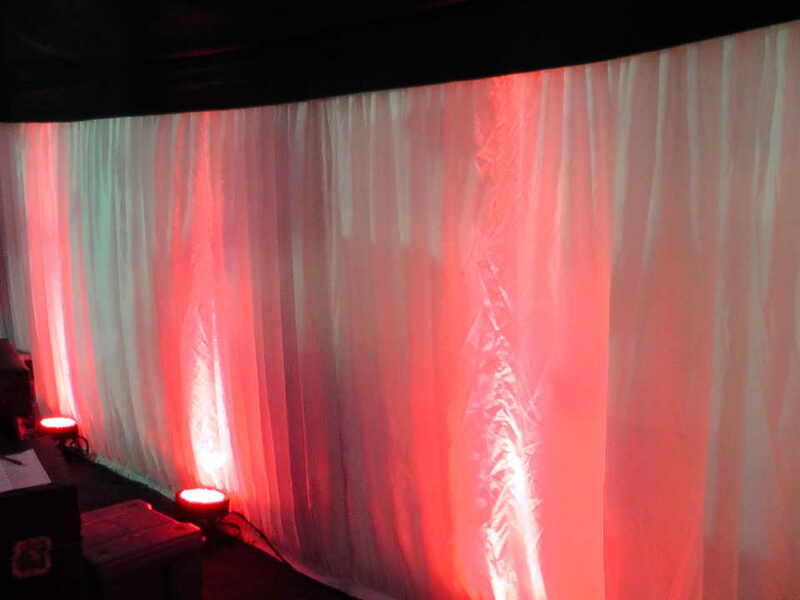 They project bright rich colours for up to 20 hours and can be colour changed or dimmed at the touch of a button. 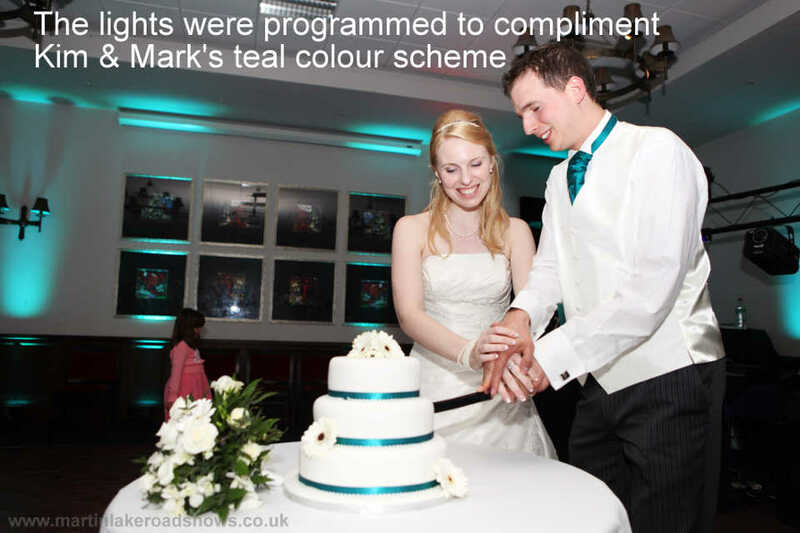 You choose the colour or a selection of colours of your choice maybe to tie in with the colour scheme of your wedding. The lights can be set to any one of 64,000 colours. 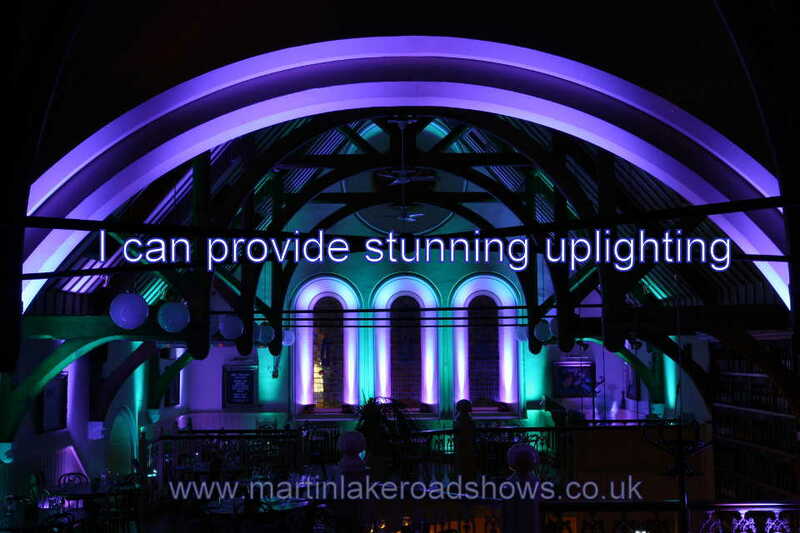 Here are some examples of uplighting projected onto the white lining of a Marquee showing some of the colours that can be programmed. 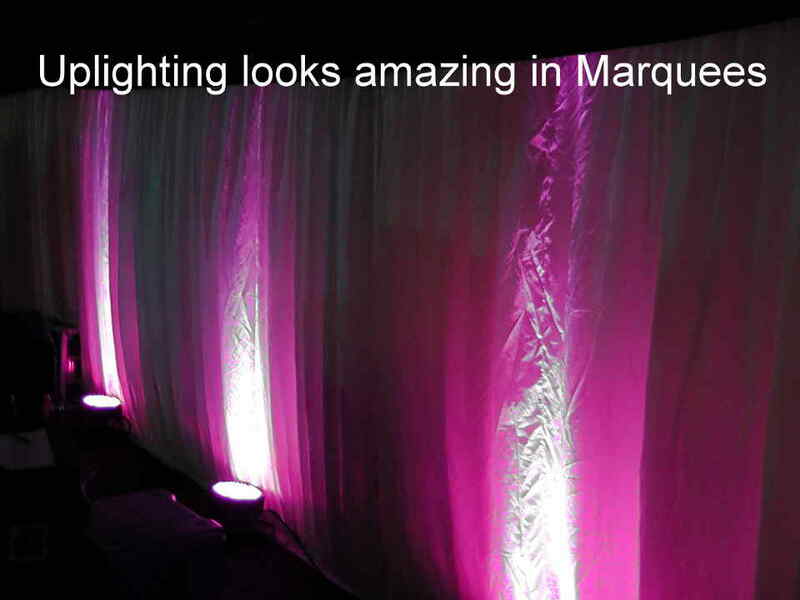 Uplighting is a cost effective and dramatic way of transforming a venue. 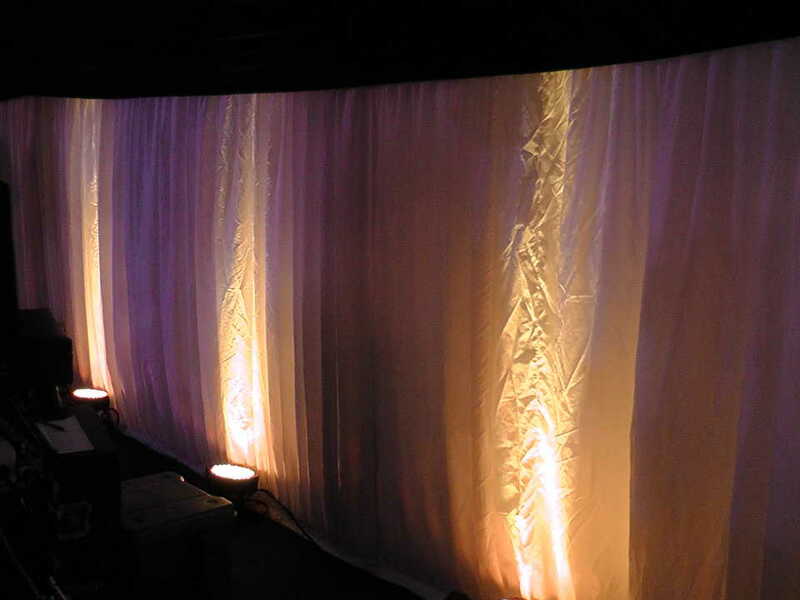 Uplighting is particularly effective in transforming the feel of a plain venue into something that looks more special. Uplighting will tie all of your wedding colours together to match the room from the chair covers to your flowers. 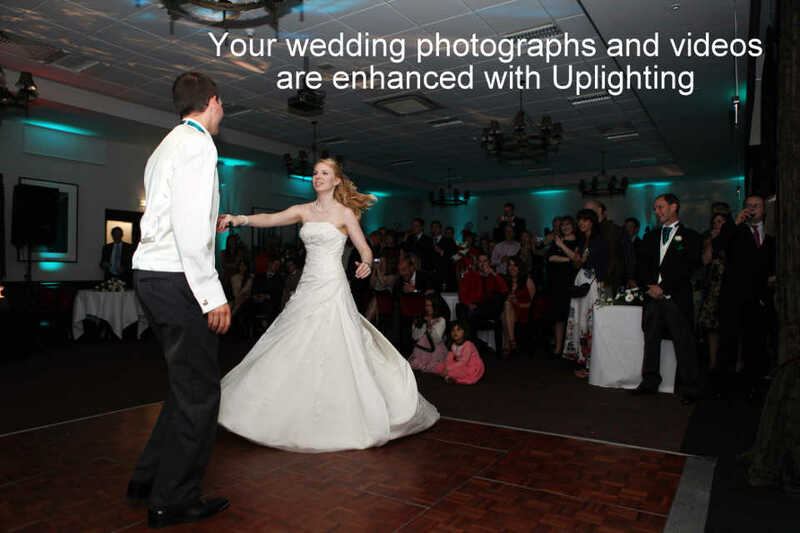 Uplighting greatly enhances your wedding photos and videos. 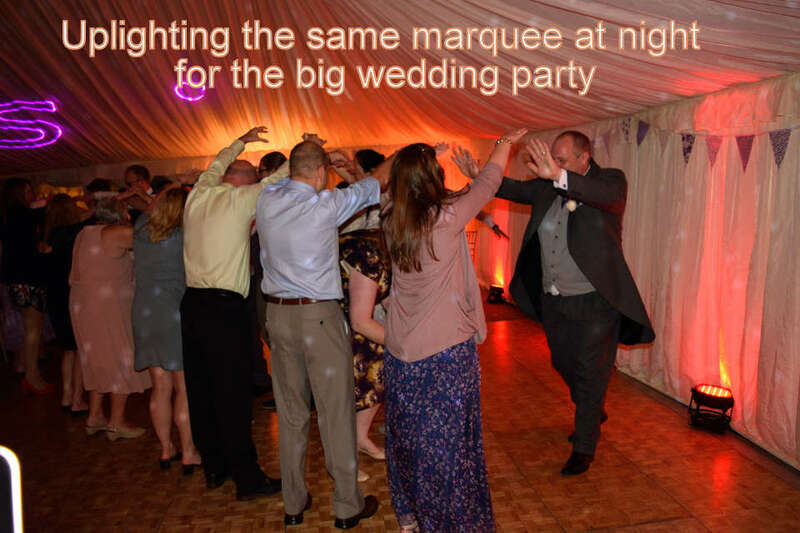 Uplighting will create a better atmosphere for the evening party.